Dr. David D. Kim of Kim Bariatric Institute Explains How Advanced Anesthesia Delivery Coupled With the David Kim Inverted Gastric Sleeve Procedure Can Result in a Quicker Hospital Discharge and Speedier Recovery Times. DALLAS, TX--(Marketwired - Nov 10, 2015) - Making weight loss surgery safer, more comfortable, and more effective is a priority for Dr. David D. Kim, a bariatric surgeon in the Dallas-Fort Worth area. To further this goal, he developed the David Kim Inverted Gastric Sleeve™ procedure, which is designed to improve upon traditional sleeve gastrectomy in several notable ways. To further enhance the patient experience, Dr. Kim pairs his technique with an innovative anesthesia delivery method. He says combining these advanced modalities can help reduce the length of the hospital stay and encourage rapid healing. With this patient-focused approach, he believes weight loss surgery can be revolutionized. The David Kim Inverted Gastric Sleeve™ technique builds upon the traditional gastric sleeve procedure, Dr. Kim says. As a result of the expanded process, he explains that the stomach can be further reduced by up to five percent, the risk of leaks at the staple line (where the excess stomach tissue is removed) can be minimized, and the stomach's resistance to stretching or expansion can be enhanced. The operation, its advantages, and candidacy requirements are detailed in an Inverted Gastric Sleeve™ infographic provided on Dr. Kim's website. Dr. Kim explains that his ground breaking laparoscopic gastric sleeve approach may be able to reduce the hospital stay from two or more days to just six hours. Laparoscopic surgery, also called keyhole surgery, uses a few small incisions rather than one large one to achieve the desired outcome. As a result, he says patients undergoing the Inverted Gastric Sleeve™ procedure can often be discharged the same day as the operation. In addition, he notes that the personalized anesthesia method used by his practice's exclusive team of experienced anesthesiologists can provide a smoother, quicker post-op recovery. "Our team at Destiny Surgery Center has accomplished the highest level of certification, the Accreditation Association for Ambulatory Health Care (AAAHC) level of distinction. We are committed to providing our patients with the highest quality care." The founder of Kim Bariatric Institute, Dr. David D. Kim is a board certified bariatric surgeon practicing in the Dallas-Fort Worth and Arlington, Texas area. In addition to being a Fellow of the American Society for Metabolic and Bariatric Surgery, he is also the inventor of the David Kim Inverted Gastric Sleeve™ procedure. He performs a comprehensive array of weight loss surgery techniques, and he and his team at KBI provide a full range of pre- and post-operative care options. 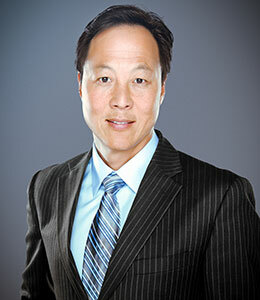 Dr. Kim has been named one of the "Top Doctors" in the US by Castle Connolly, and he has been designated a "Surgeon of Excellence" by the American Society for Metabolic and Bariatric Surgery. Dr. Kim is available for interview upon request.